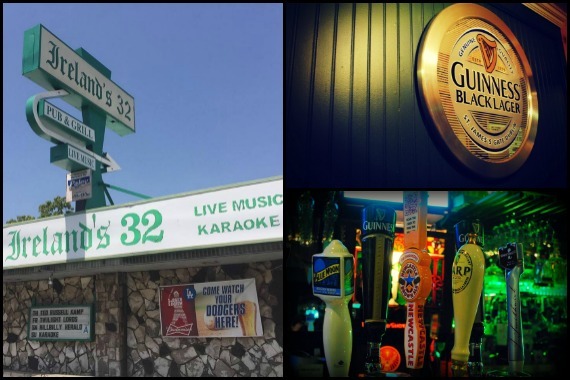 Ireland’s 32 has been Van Nuys’ go-to spot for cold drinks, delicious food, and a good time since 1963. Keep the tradition alive -- sláinte! "At Ireland’s 32, you’ll find the famed warmth and hospitality of the Irish. " "Remember: You miss 100% of the whiskey you don't drink." "A thirsty person's favorite stop sign. " "Tap into something good this Friday, Van Nuys! " "How about a proper Irish fry up to get your morning started? " Went with friends to see The UK Beat playing, it was great, nice music and friendly. Yes, I'd like to receive news from Ireland's 32. Sign up for the Ireland's 32 Newsletter!